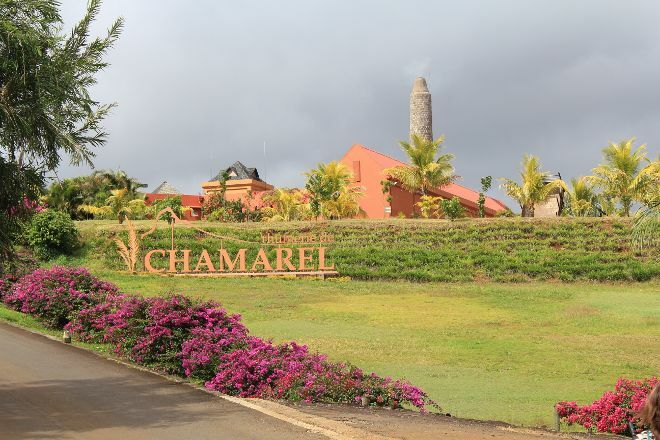 Take a tour of Rhumerie de Chamarel to learn about the history of rum production in the country. Opening in 2008, the distillery harvests its own sugar cane by hand instead of burning the crops; the result is an improved flavor and smaller ecological footprint. Surrounded by attractive plant life, where sugar cane, pineapples, and other tropical fruits grow in abundance, the distillery and agricultural plantation form an eco-friendly estate and offer an introduction to the country's agricultural heritage. Let the experienced guides take you through the process of rum-making, and be sure to enjoy a tipple at the end and pick up a bottle to take home with you. Add Rhumerie de Chamarel and other attractions to your Chamarel trip itinerary using our Chamarel trip planner . We stopped for a guided tour and without regret! The place is beautiful and Fabrice our guide was great (I highly recommend) he took the time to explain the production of rum. We had a nice time and we took advantage of the high-quality restaurant. What is more, the cost of entry is deductible from the note of the restaurant so it is advantageous. Will certainly return when next in Mauritius. Focus on a visit the calmer morning.